25 April 2018. Meise/Brussels. 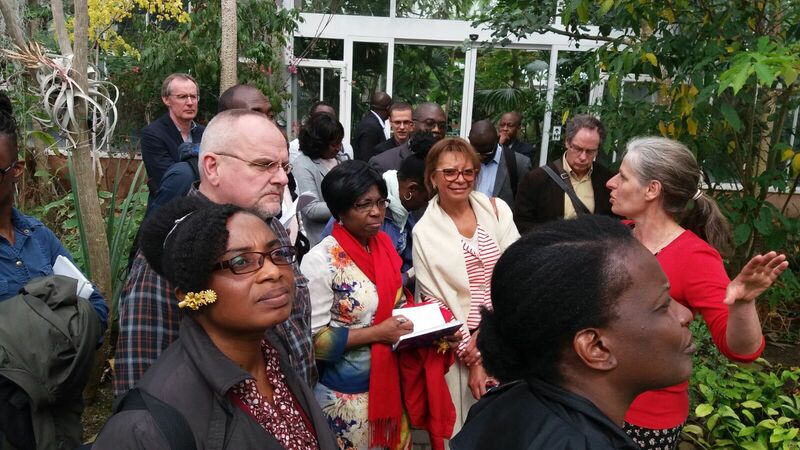 The consultation between African Diaspora Agro-entrepreneurs and researchers resulted in a strong recommendation for more research into the domestication of African orphan crops and indigenous medicinal plants and wild fruits for nutritious food and healthcare. Biotechnology may play a central role to overcome the challenges in the domestication and result in the creation of thousands of jobs in innovative agro-processing and transformation of traditional crops and herbs. 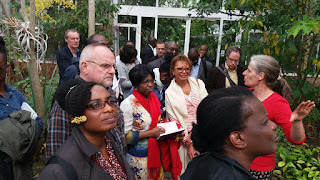 Forthcoming: Blog post on the indigenous plants with high nutritional value and economic potential presented during the guiding tour at the Botanical Garden of Meise/Brussels. The consultation recognized the essential role of public funding to avoid bio-piracy (intended and unintended) and privatization which may lead to restricted benefit sharing. Partnerships should be established between bio technology researchers and the vast collection of African orphan crops and indigenous medicinal plants and wild fruits currently preserved in European botanical gardens. the Horizon 2020 funded BigPicnic project brings together the public, scientists, policy-makers and industry to help tackle the global challenge of food security. BigPicnic is being carried out by 19 partner organisations comprising international leaders in the fields of food security, public engagement and participatory techniques. BigPicnic Partners span 12 countries across Europe, and one in Africa. The majority of Partners are botanic gardens, but also include universities, a science shop, an institute for art, science and technology, and an international NGO. What if the DNA of all life on Earth was entered into a database we could mine for new medicines, fuels and other breakthroughs? Learn how efforts to sequence all known plants and animals in the next decade are laying the foundation for a new wave of innovation. Formerly: 27 years at the University of Illinois, Urbana-Champaign, latterly as E.W. and J.M. Gutgsell Endowed Professor of Immunogenetics, with a primary appointment in the Department of Animal Sciences and Member, Center for Advanced Study; served as Director, University of Illinois Biotechnology Center, Founding Director, W.M. Keck Center for Comparative and Functional Genomics, and Founding Director, Institute for Genomic Biology. With the University of California, Davis: 2011-16, Vice-Chancellor for Research; currently, Robert and Rosabel Osborne Endowed Chair and Distinguished Professor of Evolution and Ecology; concurrently, joint appointment in the School of Veterinary Medicine. Current research interest is in mammalian genome evolution in relation to adaptation, speciation, and the origins of cancer. Fellow, American Association for the Advancement of Science. Elected Foreign Member, Royal Swedish Academy of Agriculture and Forestry. Recipient: Wolf Prize in Agriculture (2011); elected to the US National Academy of Sciences (2013). BEng in Chemical Engineering and MEng in Biochemical Engineering, University of Cambridge; MBA, INSEAD. Serial entrepreneur, founder and Chief Executive Officer of start-ups in artificial intelligence, biotech, fintech and cleantech. Senior executive leadership positions at Cisco, SABMiller, Oliver Wyman and McKinsey. 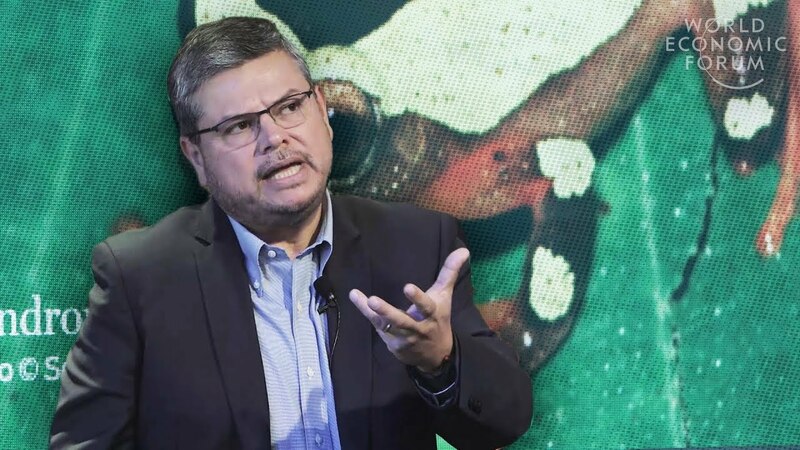 Former founding Chief Executive Officer, biotechnology start-up Bioingenieria Aplicada focused on developing advanced biofuels and bio-products in the Amazon. Founder and Chairman, Planetary Skin Institute, a Silicon Valley research and development corporation co-founded with NASA. Founder and Chairman, Space Time Ventures and Space Time Analytics. World Economic Forum: Member, Global Future Council on Environment and Resource Security; Member, Global Advisory Council for the last seven years designing and incubating innovation programmes to address global critical issues in energy, food and water security, risk management, climate change and tropical ecosystem protection. Co-leader of the Amazon Third Way initiative and the Amazon Bank of Codes. 12 April 2018. The Economist. Could Blockchain Save The Amazon Rainforest? Blockchain technology can do more than underpin crypto-currencies—it could help save the Amazon rainforest by stopping so called “biopirates” from plundering its biological riches. If it works, more money could be made by preserving the rainforest than cutting it down. The Amazon Bank of Codes initiative is a collaboration between the World Economic Forum, the Earth Bank of Codes and the Earth Biogenome Project. Their aim is to assign and classify biological data from every species of plant and animal in the Amazon Basin, logging their genetic sequences on the blockchain. Registering these assets on the blockchain makes it possible to record and track these resources’ provenance and use. In theory, it would thus be possible to trace where these resources go and create a platform for the fair sharing of the benefits with the country of origin. The keynote of Juan Carlos Castilla-Rubio, Chairman, Space Time Ventures on Inclusive Bioeconomy Innovations powered by the 4th Industrial Revolution starts @ 7:02:20 (unfortunately the audio is not synchronous with the video).